Sparco Tuner Seat - Modena - Dezod Motorsports Inc - Home of the automotive performance enthusiast since 2002. Sparco reclining carbon fiber seats can be found in some of the worlds most prestigous super cars – and now it can be in yours with the Sparco Modena. 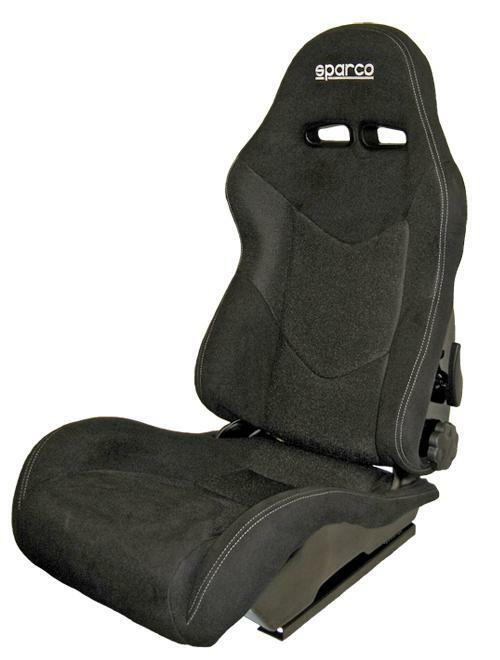 The same technology that is employed by some of the top manufactures in the industry has been utilized to produce the Sparco Modena, the most advanced aftermarket seat ever created by Sparco. Only the highest quality materials and state of the art manufacturing processes were used during its development. An integrated internal lumbar adjustment system ensures proper ergonomics and ultimate comfort at all times.